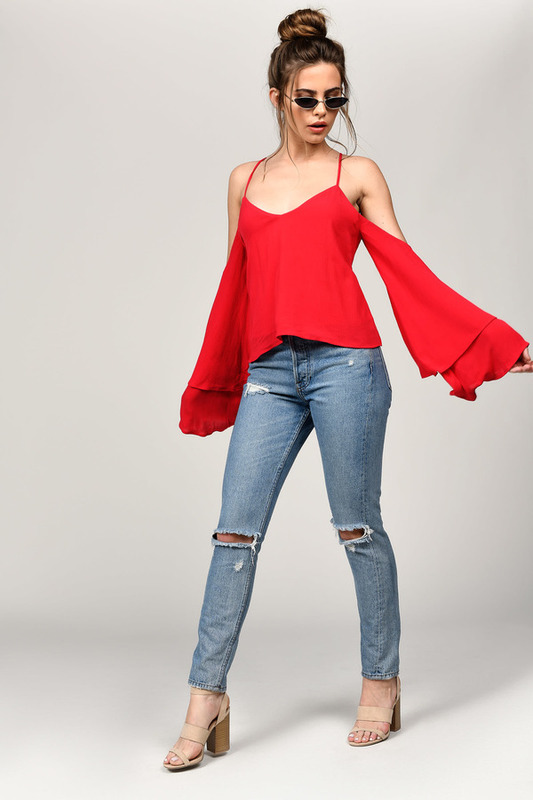 Check out Tobi's Jillian Cold Shoulder Blouse With wide, double layer sleeves, you won't be able to resist making shapes with the Red Jillian Cold Shoulder Blouse. A peasant blouse you can wear in the evening, the backless blouse has deep cold shoulder cutouts and delicate shoulder straps, with ties at the back. Live the drama. 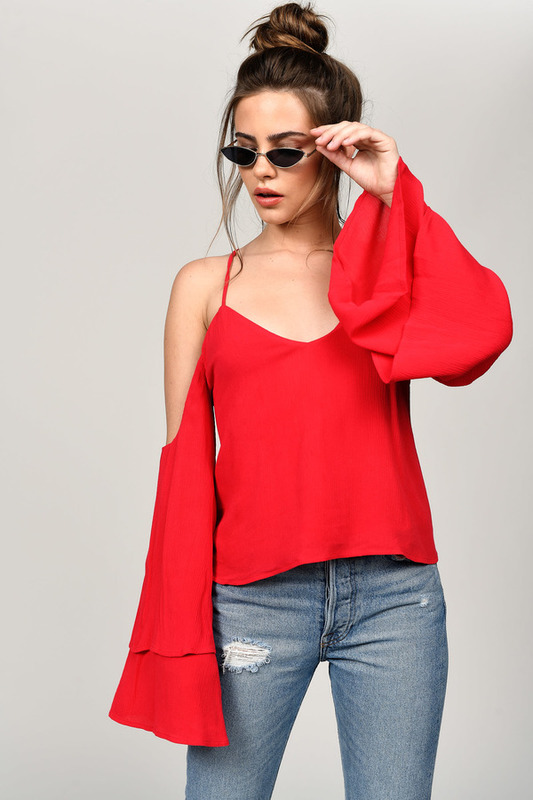 With wide, double layer sleeves, you won't be able to resist making shapes with the Red Jillian Cold Shoulder Blouse. 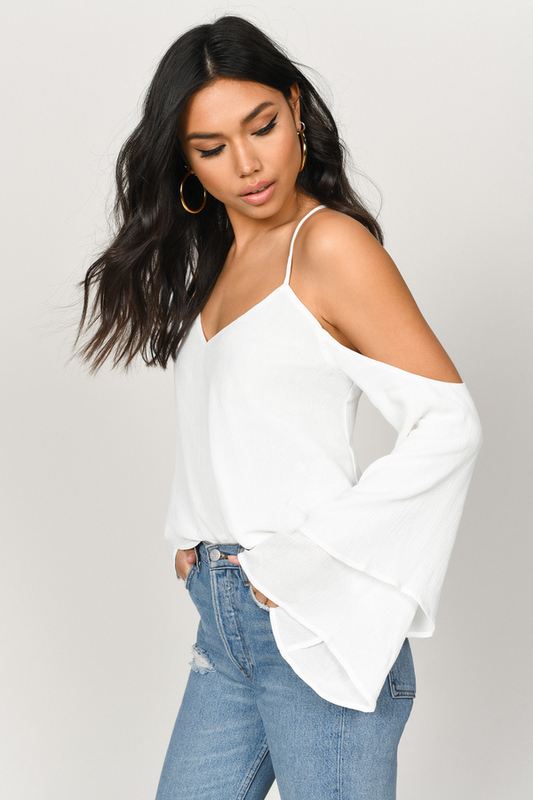 A peasant blouse you can wear in the evening, the backless blouse has deep cold shoulder cutouts and delicate shoulder straps, with ties at the back. Live the drama. 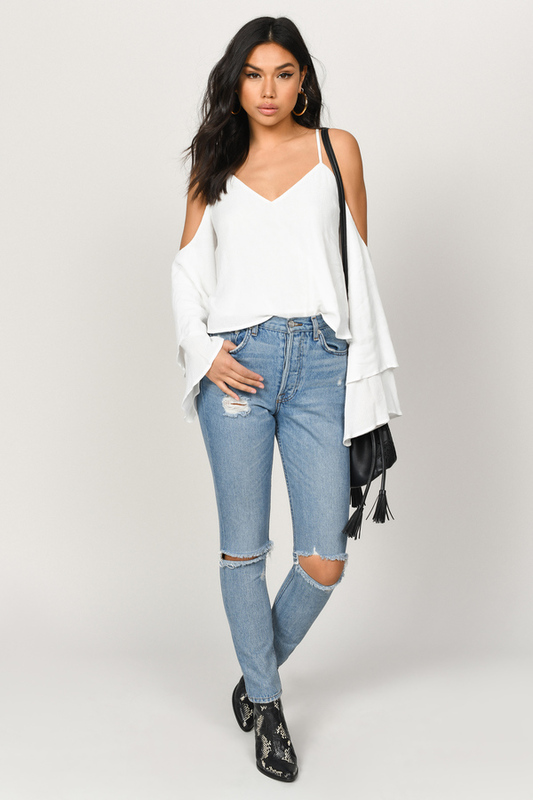 With wide, double layer sleeves, you won't be able to resist making shapes with the Off White Jillian Cold Shoulder Blouse. 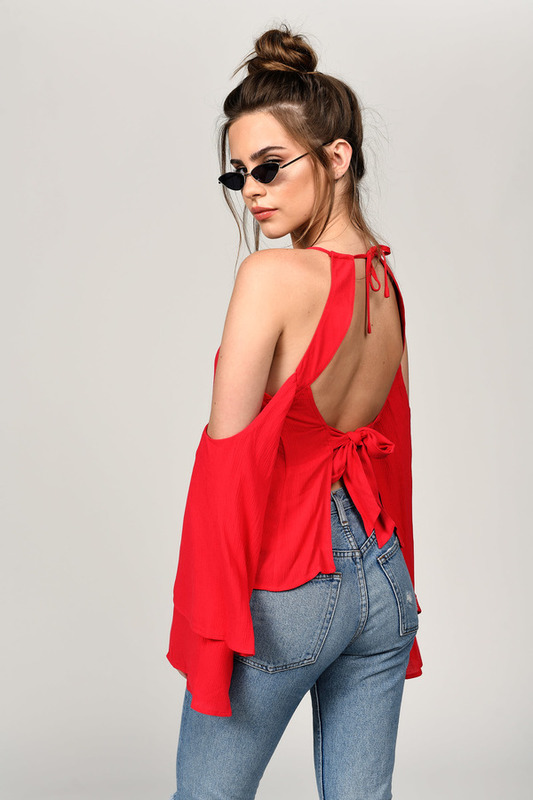 A peasant blouse you can wear in the evening, the backless blouse has deep cold shoulder cutouts and delicate shoulder straps, with ties at the back. Live the drama. Off White, Red modeled on a size Small.